During his debut show at Glastonbury, BBC Introducing stage last month, OTIS MENSAH dropped his track, ‘Free The Slaves’. Sporting a sporadically dope elements of sugary-light hip-hop/R&B, the three-minute slammer talks about rebellion, and breaking out of a mundane, oppressed life. If you haven’t heard of this conscious artist from Sheffield, covering everyday issues are the core subject of his expanding discography, often coupled with a rich soulful hip-hop/boom-bap -esque groove – a sound similar to heavyweights, Mos Def, Common and The Roots. OTIS MENISH has previously released ‘Creep & Crawl’ which received appreciation from online hip-hop tastemakers…and the crowd at his Glastonbury show. 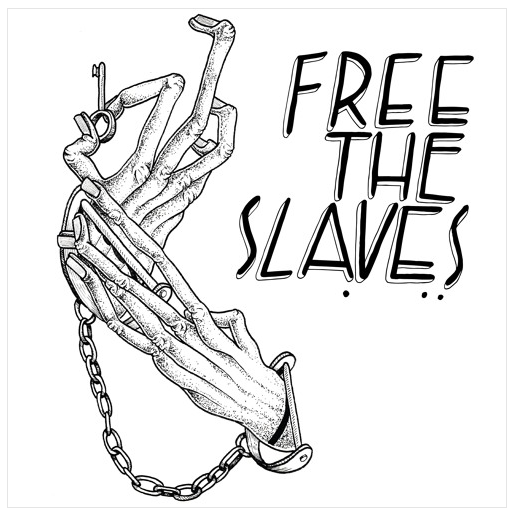 His upriser is worth a visit; start with ‘Free The Slaves’. 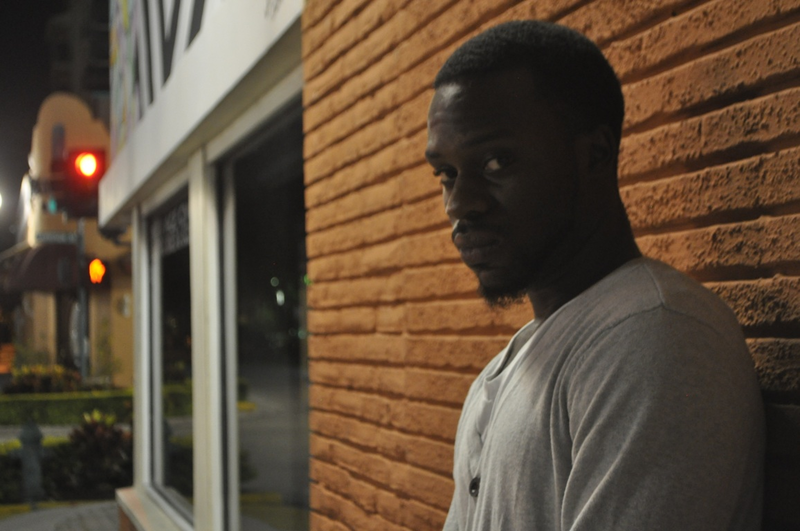 From the start, KING DICE O was featured on NEW LEASE MUSIC. After a lengthy hiatus, The Owl Life entertainment recruit returns bolder than ever with a string of hot tracks…and his hard work paid off because one of his latest singles, Pain Of Fortune, went down well with you guys, receiving the most listens last month. I think it’s about time we know a little more about this master of wordplay. NLM: First off, I wanna know how did you come up with the stage name KING DICE O? I’m so intrigued! KDO: Dice’O that’s my street name, known for gambling with my life. I add the king to acknowledge my worth…. NLM: Since releasing Pain Of Fortune (named Song of the Month in January by NEW LEASE MUSIC), you knocked out two more tracks, Working and Street Poet. What’s the response been like on the tracks since its release? NLM: You release your mixtape, The Life Vol.2 (The Quiet Storm) today. What can potential fans expect from your latest project? KDO: I’m not going to front, comparing this to my 1st mixtape, this is a big step up, got my team on the mixtape. We’re working, perfecting our craft every chance we get, I feel I’m definitely going to change the game with this new sound. I want you to judge it for yourself but your going to hear the growth. NLM: What’s your proudest on the mixtape work and why? KDO: I got a few but hands down Dear Dom that’s a letter, I wrote to my son it took a lot out of me, mentally as a father I’m going threw it and this is my therapy. NLM: So what artists you’re digging at the moment? NLM: If you were to collaborate with just ONE chart-topping artist of today, who would it be and why? NLM: So what other plans you have for 2016? Do you have any upcoming gigs/projects? KDO: Wow It amazing you say that! Got a few gigs coming up and a lot show cases coming up. Me and my team are working, my clothing line is out “Owl Life Branded for life”, photo shoot coming out soon, also we’re dropping the music video for 4am in the Bush… It’s going to be a busy year!! Owl Year !!! NLM: How can potential fans reach you? NLM: If music didn’t exist, what other profession would you do? KDO: Design clothes, starting a business or a chief. NLM: Finally, any shout outs? Hip-hop heads, I have another hot one for you! 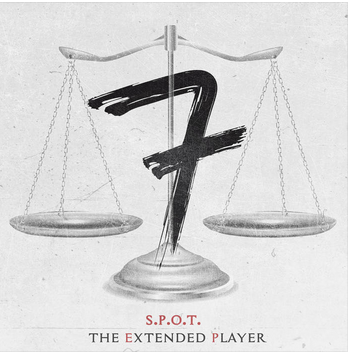 Check out today’s hot track, Back 2 U by New York-born emcee S.P.O.T. (Strategy, Produces, Overall, Thought). The single is from his latest mixtape, The Extended Player released in June. 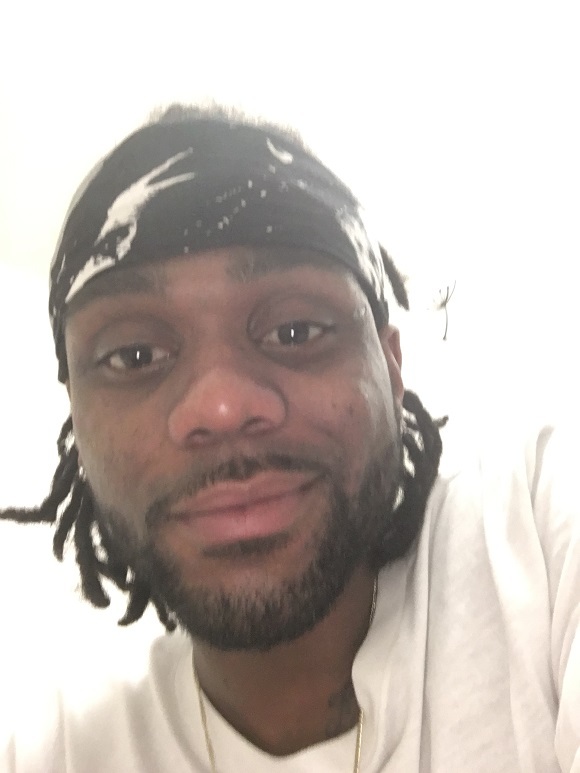 Following the success from his previous albums (The Album Called A Mixtape and Duets) this upriser gained a strong fanbase and has been compared to hip-hop heavyweights Nas, Mos Def and Common by critics….I told you this guy’s a hot one; don’t pass up the opportunity and have a listen to Back 2 U. If you’re a regular NEW LEASE MUSIC visitor, you may have checked out ROB FORTE’s music, including his debut mixtape, S.O.UL. Now it’s time to find out a little more about The Academy emcee and his reason behind his latest project. Remember, you heard it first on NEW LEASE MUSIC! NLM: You recently release your debut mixtape, S.O.UL. Describe the story behind the project? RF: When I first came up with the project idea, I was originally going to create another EP. But I had so much going on in my life that I decided to release a full project. Funny thing is I wasn’t going to name it S.O.U.L., I was going to name it “Forte Thoughts” because it was going to be a project of straight venting (which it kinda still is), but I really just wanted to be honest. Everything in the project that I said is honesty, whether it’s my thoughts or current situations. I started listening to different types of artists like Kevin Gates and I started to relate to the honesty. So that’s why I called it S.O.U.L. Simply Outta Utter Love. The love for the art as well as soul music in general. NLM: What has the reception been like towards your new mixtape? RF: I’ve been getting all types of texts and phone calls and whatnot from people pouring out their love for it. Before I released it, I told the rest of the members of The Academy that this project was going to be one of those projects that people will gravitate towards. And I was right. NLM: What’s your favourite track on the mixtape and why? RF: Honestly I have several. But if I had to pick one then it would probably beeeeeee……..SOLO. Reason why is because it literally illustrates a session with me and the homies. The conversation at the end of the song was me and homie Rod Markie. Funny thing about it is we’ve had that conversation SO MANY TIMES. So when he came through to record the skit, it was organic because it’s literally real life conversations that we have. NLM: Let’s take a look into your early life…what did you do before getting involved with the music industry? RF: I did a lot of things. Some negative and some positive. But I try to keep straight positivity in my life. But if you mean totally getting involved with music, I was in school. I started taking rap music seriously in high school when I met my homie and The Academy emcee Bonz. He invited me to his crib where he had a studio and from then it was just progression. I made music before, here and there, but that was when we were lil jits running up and down the streets doing what we were doing. NLM: At what point did you want to become a hip-hop artist? RF: I would say probably in my senior year of high school when I rapped in my first cypher. This producer I knew invited me to a cypher but we had different lunches. So I skipped class and went there and rapped. From then on my notoriety built and I started getting all types of love. That’s when I started noticing that people actually saw something in me. So I kept going hard. NLM: Who are your musical influences? RF: I have three main musical influences: Common, Mos Def, and Kanye. Common, who is my favourite artist, because of his content and lyricist, Mos Def because of his versatility in rap styles, and Kanye because of his general artistry and confidence. But I look a lot into different artists and distinguish whether or not I like them if I can feel them. If I can’t feel the music a certain way then I don’t pay too much attention to them. NLM: Would you compare your sound to these musical influences? RF: I don’t think I can compare my sound to anybody at this moment. I made sure that I couldn’t. In high school I was compared to people like Jay Electronica, Andre 3K, Common, J. Cole, etc… But now that I’ve grown, I told myself that I can’t try to sound like anybody else. So that’s why I choose totally different production than what you normally hear, I do different things on a track, etc…. NLM: So how would you describe your music to someone who has never heard your tracks? RF: I really don’t know (laughs). I’ve been in situations where people would ask me who I would compare myself to and I would just tell them no one. Then I would play a track and let them decide. By the time they’re finished, they wouldn’t know either (laughs). But if anybody finds out, please let me know! NLM: If you were to collaborate with a chart-topping artist of today, who would it be? RF: That’s a tough one. Ummmm….I think I probably would want to collab with Ross. We from the same city so I think we would be able to relate on certain things that go on throughout the city and put together a real soulful joint. NLM: What are your plans for 2014 and beyond? Do you have any upcoming gigs? Please spill! RF: Right now I’m just focusing on continuing to promote S.O.U.L. Bonz and I are currently working with my manager with the set-up of the Numb The Pain for Your S.O.U.L. tour for the fall. We started the summer locally. So by the fall we should be all over Florida and probably hit Georgia and the tri-state area. NLM: When can we expect another project from you? RF: I don’t know. That’s a good question. I am in discussion with my homie Sway (producer of Turnt Up) about making a joint mixtape but I don’t know what’s going to come out of that. So we’re going to talk more and see.